Division of Algal Biotechnology and Bio-nano Technology, Post Graduate and Research Department of Botany 1, Post Graduate and Research Department of Chemistry 2, Pachaiyappa’s College, Chennai - 600030, Tamil Nadu, India. ABSTRACT: We here in the report the investigation of the antifungal activity of various solvent extracts obtained from a marine brown alga, Lobophora variegata against three fungal dermatophytes, namely Candida albicans, Candida tropicalis, Trichophyton mentagrophytes and a nondermatophyte Aspergillus flavus using disc diffusion method. Among the solvent extracts tested in the investigation, only the methanol extract of the L. variegata exhibited better antifungal activity against all the fungi and chloroform extract was able to elicit activity against C. albicans and T. mentagarophytes. On the other hand, the extract of the L. variegata obtained from ethyl acetate was active against C. albicans only. In contrast to the methanol and chloroform extracts, the aqueous and hexane extracts of the L. variegata were found to be least effective and showed no observable activity against any of the test fungi. The investigation demonstrated that the methanol extract of brown alga L. variegata is more effective on dermatophyte fungi. INTRODUCTION: Algae has a wide area of ecosystems that make them a major contributor for the innumerable chemical compounds with simple to complex structures they can synthesize. Especially, marine seaweeds are an invaluable source for a wide spectrum of bioactive compounds and a major subject for the screening of various pharmaceutical drugs. Marine algae were reported to produce a wide variety of bioactive secondary metabolites as antimicrobial, antifeedant, anti-helminthic and cytotoxic agents and the bioactive compounds, included alkaloids, polyketides, a cyclic peptide, polysaccharide, phlorotannins, di-terpenoids, sterols, quinones, lipids and glycerols 1. Fungal resistance towards to the anti-fungal agents is the foremost problem all over the world with present antibiotic therapy in treating infectious diseases 2. During the present decade, there is substantial growth in the research activity focused on marine seaweeds for isolating and developing newer antimicrobial agents. In the past four decades, many novel bioactive compounds have been isolated from marine organisms 3. Many investigations revealed that macroalgae have a broad range and potential use in pharmacology researches as an antifungal 4, 5, 6. Their inhibitory effects are related to the presence of bioactive compounds as secondary metabolites, e.g. phenol and carotenoids compound 7 or due to the presence of saponins, flavonoids, tannins and cardiac glycosides 8. However, considering the growing need for new sources of bioactive compounds to fight microbial resistance, here in our research, we are screening the extract of Lobophora variegata collected using various organic solvents is against fungal pathogens. Collection and Preparation: Fresh algal samples of Lobophora variegata (J.V. Lamouroux) Womersley ex E.C.Oliveir were obtained from the South East coast of Tamil Nadu (Lat. 09º 17.417’N; Long. 079º 08.558’E) and the algae were identified by the standard manual 9. The salt and sand stuck on the surface of the freshly collected samples were removed by washing by using sterilized seawater. The cleaned algal samples shade dried until constant weight was obtained and the dried seaweeds were finely powdered using a blender. The powdered algal sample was stored in an air-tight container and kept in a desiccator at room temperature for further analysis. Preparation of Algal Extracts: About 30 g of the dried seaweed powder was soaked individually in the solvents such as water, methanol, chloroform, ethyl acetate and non-polar solvent n-hexane at 1:3 w/v ratio (100 ml) and kept in hot air oven at 40-60 ºC depending on the choice of the solvent for 24 h and the extracts were collected. The extract was then filtered through a Buchner funnel with Whatman no. 1 filter paper. The filtrate was evaporated to dryness to get solid sample under pressure using a rotary vacuum evaporator at 50 ºC, and the crude extracts were weighed. These crude extracts were then tested for their antifungal activity against selected fungal pathogens. The yield of extracts obtained was 3, 10, 7, 5 and 6% in water, methanol, chloroform, ethyl acetate, and n-hexane respectively. Antifungal Assays: Pure culture of Aspergillus flavus (ATCC 20048), Candida albicans (ATCC 20408), Candida tropicalis (ATCC 2090), Trichophyton mentagrophytes (ATCC 28185) were purchased from M/S LGC Promochem India Pvt. Ltd., Bangalore, India. Flucanozole (Hi-media) was used as the standard antibiotic. Stock cultures were prepared and maintained in sabouraud dextrose agar (SDA) slants at 4 °C. Before the experiment, SDA broth was prepared, inoculated and incubated with the pure culture at 25 °C for 3 days. A disc diffusion method was adopted to evaluate the antifungal activity of the algal extracts 10. About 150 CFU/mL of inoculum was swabbed onto SDA plates uniformly and allowed it to dry in a sterile environment. A sterile disc of 6 mm (HIMEDIA) was loaded with 30 μl of test solution (seaweed extract) were incubated at 25 °C for 2-3 days to measure zone of inhibition. The mean was calculated by performing the experiments in triplicates. Determination of MIC and MFC: Microdilution broth susceptibility test was adopted for the determination of minimum inhibitory concentration (MIC) 11. The microorganisms which showed higher activity in the preliminary investigation were used as the test organism in MIC determination. Minimum fungicidal concentration (MFC) represents the lowest concentration of an antifungal that prevents the growth of fungi. The test organism was subcultured in nutrient broth for 24 h. To obtain the strength of 106 CFU/mL, the broth cultures were matched with MC Farland standard tubes and diluted with sterile nutrient broth for 24h. Statistical Analysis: The data were analyzed by using the one way ANOVA with equal sample size by using SPSS 17.0. The difference was considered significant when p<0.005. All the values were expressed as mean ± standard deviation (S.D). Triplicate assays were performed for each set of test conditions. RESULTS: The dermatophyte fungi, Candida albicans, C. tropicalis, T. mentagrophytes, and Aspergillus flavus were used in the assessment of antifungal activity by the solvent extract of the experimental alga. Flucanozole was used as the standard and the results are presented in Table 1 and 2, as well as images of discs, are given in Fig. 1 and 2. 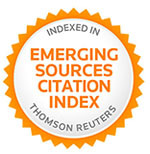 The methanol extract of the alga exhibited antifungal activity against all the fungi tested in the investigation while chloroform extract was able to elicit activity against C. albicans and T. mentagarophytes Table 1. The extract of the L. variegata prepared from ethyl acetate was active against C. albicans only. Whereas, aqueous and hexane extracts of the alga were ineffective with no activity against any of the test fungus Table 1. The methanol extract of the alga recorded more than 50% activity against all the organisms as compared to that observed for standard (Flucanozole-10 µg/mL) Table 1 and Fig. 1. Values are expressed as Mean ± SEM, n=3. Since, the methanol extract showed better performance against all the tested fungi; the dose-dependent anti-fungal activity was planned to test. Table 2 is a summary of the antifungal activity of the methanol extract of L. variegates tested at different concentrations against the test fungi. At the concentration of 25 µg/mL, 50 µg/mL and 75 µg/mL Fig. 2. C. albicans alone the inhibition activity, whereas no activity was observed in another fungus. At a concentration of 100 µg/mg nearly 53.19% of the activity observed for the standard antibiotic (Flucanozole) could be noted against all the fungi. Determination of MIC, MBC, and MFC: The methanol extract of L. variegata showed more activity against C. albicans, and hence, this organism was selected for further studies. At the concentration of 15 and 20 µg/mL, they showed no growth of the pathogen. Hence, its MIC is 15 and MFC is 25 µg/mL when compared with standard antibiotic Fluconazole displaying 20 to 30 µg/mL. DISCUSSION: Seaweeds can produce a wide variety of secondary metabolites with a wide spectrum of biological activities, compounds with cytostatic, antiviral, anthelminthic and antibacterial and antifungal activities have been detected in green, brown and red algae 12, 13. The methanol extract of L. variegata showed antifungal activity against (Candida albicans, Candida tropicalis, Trichophyton mentagrophytes and Aspergillus flavus, but in the present study aqueous and hexane extract of L. variegata has shown no activity against all the tested fungal pathogens. Boonchum et al., (2011) reported the aqueous extract of Turbinaira conoides exhibit the highest activity against Candida albicans 14. The dichloromethane and ethanol extract of Sargassum dentifolium, Laurentia papillosa and Jania corniculata showed no activity against Aspergillus flavus, but they reported high activity against Candida albicans 15. The ethanol extract of red algae Gelidium acerosa showed the greatest inhibitory activity against Candida albicans, Candida tropicals and Aspergillus niger 16. Similar findings of methanol extract of the brown alga, S. asperum showed higher activity against C. albicans and A. niger, but acetone, diethyl ether, and hexane show no activity against Aspergillus flavus 17. The present investigation demonstrates the antifungal activities, and the greatest inhibition zone was recorded from Phaeophyceae. These results suggest that the possibility of using marine algae extracts in therapy as natural antibiotics enhanced synthetic antibiotics seaweeds in Gulf of Mannar has a wealthy source of biologically active compounds against fungal pathogens 18. The extracts obtained from the brown alga Stoechospormum marginatum and green alga Codium iyengarii control the growth of Fusarium solani in-vitro when used at 6 mg disc 19. The extracts of Caulerpa filiformis, Ulva rigida, Zonaria toumefortii, Hypnea spicifera, Gelidium alottiorum, and Osmundaria serrata inhibited the fungal growth by more than 50%. In the present study methanol extracts of L. variegata showed higher activity against Candida albicans than Trichophyton mentagrophytes. This activity is due to the secondary metabolites present in the algal species. Primary or secondary metabolites produced by these organisms may be potential bioactive compounds of interest in the pharmaceutical industry 20. In the present study, methanol extracts of L. variegata were exhibited antifungal activities against the four strains studied. Zovko et al., (2012) reported similar results when tested with fungal strains against the high activity of algal extracts, especially against C. albicans 21. Gao et al., (2011) reported that a few extracts of marine algae not only have an antifungal activity but also have toxicity towards cancer cells 22. In another study, Tuney et al., (2006) reported that the ethanolic extract of Padina pavonica was active against C. albicans, however, methanol and acetone extracts of the same algae were inactive against C. albicans 23. In our study, the methanol extract of brown alga L. variegata exhibited good activity against C. albicans. These data seemed to indicate the efficiency of algal extracts against microorganisms is influenced by factors such as location and seasonality 24, 25. The results highlighted the antifungal activity of the algal extract of L. variegata strongly, it is expected that the antifungal activity found by us to be done in the presence of bioactive molecules, as phenolic compounds (phlorotannins, terpenes, alkaloids), polysaccharides or fatty acids, many of these structures being identified as antimicrobials 12. They are using organic solvents which can extract a large number of lipophilic compounds (glycolipid, phenolic-terpenoids, unsaturated fatty acids, and hydroxylated unsaturated fatty acids), the higher antifungal activity found in ethanol extracts, compared to aqueous extracts. The active compounds in the species that showed strong antifungal activity in our study remain to be identified. It is clear that the use of organic solvents always provides higher efficiency in extracting the active antimicrobial compound. CONCLUSION: In conclusion, this study suggests that methanol extracts of L. variegata possess interesting antifungal properties, which should encourage the continued search for new drugs for therapy of infectious diseases derived from a pathogenic fungus. They are a potential source of bioactive compounds and should be investigated for natural antibiotics. Further work is required to identify the bioactive molecules that are responsible for the antifungal activity. Also, this study concludes that the extracts of algae showed biopharmaceutical potentiality. However, whether such extracts will act as effective therapeutic agents remain to be investigated, the identification of the bioactive compounds and study of mechanisms of actions are necessary before application. ACKNOWLEDGEMENT: The authors are highly grateful to the Principal, Pachaiyappa’s college for providing all the necessary facilities to carry out this work. Cabrita MT, Vale C and Rauter V: Halogenated compounds from marine algae. Marine Drugs 2010; 8: 2301-2317. Manikandan SS, Ganesapandian M and Kumarguru AK: Emerging of multidrug resistance human pathogens from urinary tract infections. Current Research Bacteriology 2011; 4(1): 9-15. Kong F, Mao Y and Cui F: Morphology and molecular identification of Ulva forming green tides in Qingdao China. Journal of Ocean University of China 2011; 10: 73-79. Karabay-Yavasoglu, Sukatar NU, Ozdemir G and Horzum Z: Antimicrobial activity of volatile components and various extracts of the red alga Jania rubens. Phyto-therapeutic Research 2007; 21: 153-156. Oumaskour K, Boujaber N, Etahiri S and Assobhel O: Anti-inflammatory and antimicrobial activities of twenty-three marine algae from the coast of SidiBouzid (El Jadida-Morocco). International Journal of Pharmacy and Pharmaceutical Sciences 2013; 5: 145-149. Kausalya M and Rao GMN: Antimicrobial activity of marine algae. Journal Algal Biomass Utilisation 2015: 6: 78- 87. Malingin DL, Hongayo MC and Larino RC: Antibacterial and antioxidant effects of brown alga Padina australis Hauck crude extract. IAMURE International Journal of Science and Clinical Laboratory 2012; 2: 35-70. Jeyaseelan EC, Kothai S, Kavitha R, Tharmila S and Thavaranjit AC: Antibacterial activity of some selected algae present in the Coastal Lines of Jaffna Peninsula. 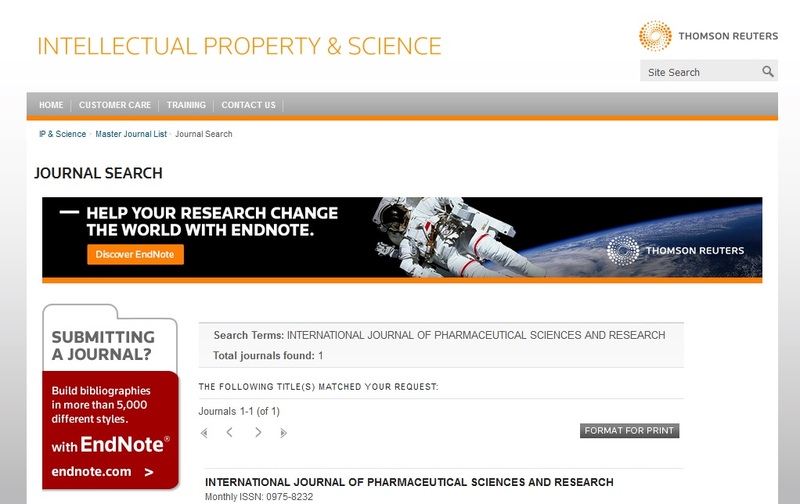 International Journal of Pharmaceutical and Biological Archive 2012: 3: 352- 356. Krishnamurthy V and Baluswami M: Phaeophyceae of India and Neighbourhood. Krishnamurthy Institute of Algology, Chennai, Vol. I, 2010: 192. Chingizova EA, Skriptsova AV, Anisimov MM and Aminin DL: Antimicrobial activity of marine algal extracts. International Journal of Phytomedicine 2017; 9(1): 113-122. Raj GA, Chandrasekaran M, Jegan S and Venkatesalu V: Phytochemical analysis and antifungal activity of Ulva species from the Kanniyakumari Gulf of Mannar, South Coast India. Natural Products: An Indian Journal 2016; 12(3): 104-120. Jamal B, Fatima L, Selma M, Fatiha M, Omar A and Samira E: Screening of the antifungal activity of 22 seaweed from the Coast of El Jadida Morocco against Bipolaris sorokiniana. Research Jour of Pharmaceutical, Biological and Chemical Sciences 2018; 9(2): 1091-1099. Priyadarshini S, Bragadeeswaran S, Prabhu K and Sophia Rani S: Antimicrobial and hemolytic activity of seaweed extracts Ulva fasciata (Delile 1813) from Mandapam, Southeast coast of India. Asian Pacific Journal of Tropical Medicine 2012; S38-S39. Boonchum W, Peerapornpisal Y, Kanjanapothi D, Pekkoh J, Amornlerdpison D and Pumas C: Antimicrobial and anti-inflammatory properties of various seaweeds from the Gulf of Thailand. International Journal of Agriculture and Biology 2011; 13(1): 100-104. Shanab SMM: Antioxidant and antibiotic activities of some seaweeds (Egyptian Isolates). International Journal of Agriculture and Biology 2007; 9(2): 220-225. Elsie BH, Dhanarajan MS and Sudha PN: In-vitro screening of secondary metabolites and antimicrobial activities of ethanol and acetone extracts from red seaweed Gelidium acerosa. International Journal of Chemical Research 2011; 2(2): 27-29. Pandithurai M, Murugesan S, Sivamurugan V and Thamizh Selvan N: Antifungal activity of various solvent extracts of marine brown alga Spatoglossum asperum. International Journal of Pharmaceutical Chemistry 2015; 5(8): 278-280. Raj GA, Chandrasekaran M, Jegan S and Venkatesalu V: Phytochemical analysis and antifungal activity of Ulva species from the Kanniyakumari Gulf of Mannar, South Coast India. Natural Products India Jour 2016; 12(3): 1-17. Ara J, Sultana V, Ehteshamul-Haque, S, Qureshi, SA and Ahmad VU: Bioactivity of seaweeds against soil-borne plant pathogens. Phytology 1998; 85: 292-299. Findlay JA and Patil AD: Antibacterial constituents of the diatom Navicula delognei. Journal of Natural Products 1984; 47: 815-818. Zovko A, VauknerGabric M, Specic K, Pohleven F, Jaklic D, Gunde-Cimerman N, Lu Z, Edrada-Ebel R, Houssen WE, Mancini I, Defiant A, Jaspars M and Turk T: Antifungal and antibacterial activity of three-alkyl-pyridinium polymeric analogs of marine toxins. Inter-national Biodeterioration & Biodegradation 2012; 68: 71-77. Gao SH, Li XM, Li CS, Proksch P and Gui B: Penici-steroids A and B, antifungal and cytotoxic poly-oxygenated steroids from the marine alga-derived endophytic Fungus Penicillium chrysogenum QUEN-24S. Bioorganic Medicinal Chemistry Letters 2011; 21: 2894-2897. Tuney I, Cadirci BH, Unal D and Sukatar A: Anti-microbial Activities of the extracts of marine algae from the Coast of Urla (Izmir, Turkey). Turkish Journal of Biology 2006; 30: 171-175. Febles CI, Arias A and Gil-Rodriguez MCA, Hardisson and Sierra Lopez A: In-vitro study of antimicrobial activity in algae (Chlorophyta, Phaeophyta and Rhodophyta) collected from the coast of Tenerife (in Spanish). Anuario Del Estudios Canarios 1995; 34: 181-192. Karthikaidevi G, Manivannan K, Thirumaran G, Anantharaman P and Balasubaramanian T: Antibacterial proprieties of selected green seaweeds from Vidal coastal waters; Gulf of Mannar marine biosphere reserve. Global Journal of Pharmacology 2009; 3(2): 107-112. Subbiah M, Thennarasan S and Vajiravelu S: Effect of marine brown alga Lobophora variegata (J.V. Lamouroux) Womersley ex E.C. Oliveir various solvents extracts on dermatophytes. Int J Pharm Sci & Res 2019; 10(2): 672-77. doi: 10.13040/IJPSR.0975-8232.10(2). 672-77. Authors Address: Post Graduate and Research Department of Chemistry, Pachaiyappa’s College, Chennai, Tamil Nadu, India.